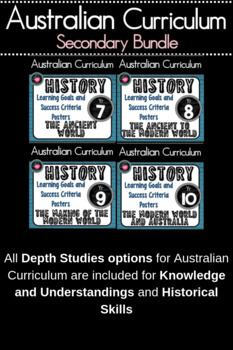 Year 7 History – (Australia) Learning GOALS & Success Criteria Posters. 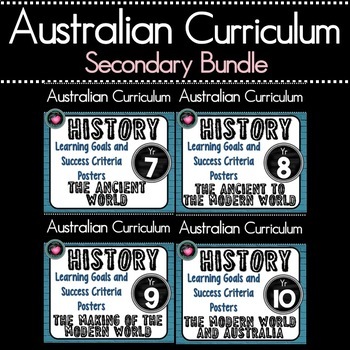 This Resources combines all Secondary (High school) History Year levels 7 - 10 Learning Goals and Success Criteria Posters in one Bundle at a reduced cost. Completely aligned with the most updated Australian Curriculum. Please see individual Listings for Comprehensive descriptions and previews.